The revolution now taking shape in the world’s molecular biology labs may not yet be common public knowledge, but it is transforming scientists’ thinking about genetics and the organism as a whole. Researchers have been discovering that it makes much more sense to say that the organism is in charge of its genes, than to put it the other way around. The project home page can be found on the website of The Nature Institute here: www.natureinstitute.org/txt/st/org/index.htm. As you will see, the project is a work in progress, and on the site you will be able to read chapters from the book which Stephen is in the middle of writing. What is so interesting in this project is that in following its progress, we are able to bear witness to one very real shift in paradigm, pretty much in real time, if that makes sense. 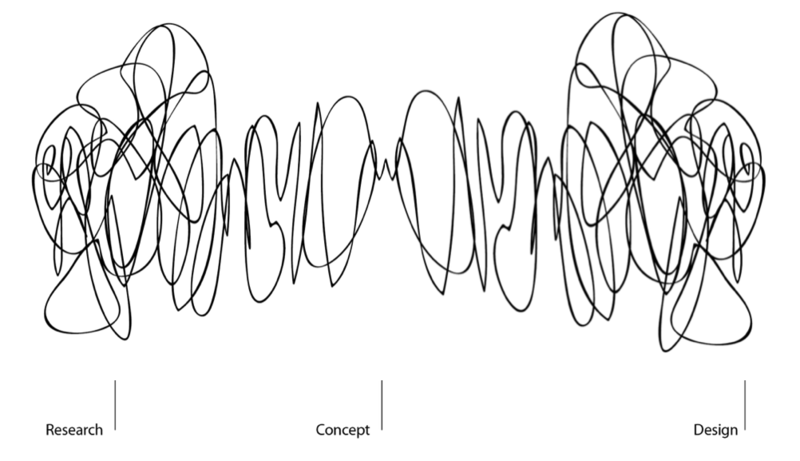 This can teach us a lot about shifting our paradigms of organisations, away from mechanistic models to more dynamic and process orientated ones. In saying this, it is extremely important to point out that moving out of mechanistic thinking is no easy task, because the new paradigms are not taught to us. So those bloggers and writers who just call for a move out of mechanistic thinking really need to be co-locating within their writings and consultancy work exactly how to do this, and to do this rapidly. One book which stands together with The Structure of Scientific Revolutions is Arthur Koestler’s The Sleepwalkers. 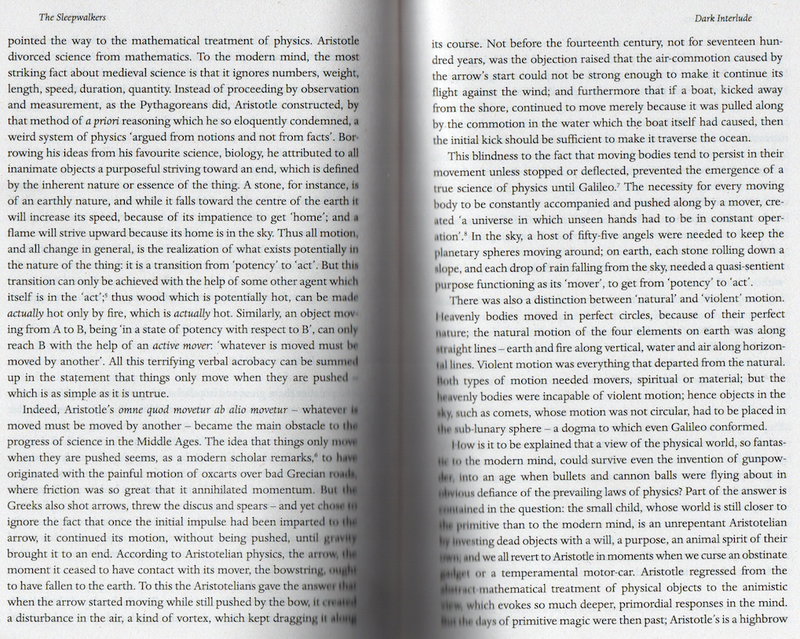 I need to dedicate an entire article to this brilliant book some time in the future, but for now I thought I would share just a couple of pages on what has to be one of the best explications of Aristotelian physics. You can click on the image below to see the high resolution version. In the year 1500 Europe knew less than Archimedes who died in the year 212BC. While yes we may gasp at ridiculousness of Middle Age physics, it is humbling to consider what analogies we can find in these modern times. Many organisations and economists still consider that unlimited growth is possible on a finite planet, and as São Paulo, the world’s seventh largest metropolis in the world runs out of water (as are many other regions in Brazil), there are still some executives telling me that sustainability is not an issue. Dogma can be intransigent indeed. If we look at what lies at the heart of our book Holonomics: Business Where People and Planet Matter, it is the practical implementation of deep, profound and lasting transformational change. If we analyse this in relation to organisations, what we often find is that the leadership only focus on the structural aspects of strategy. The behavioural aspects are ignored, therefore resulting in sub-optimal execution. 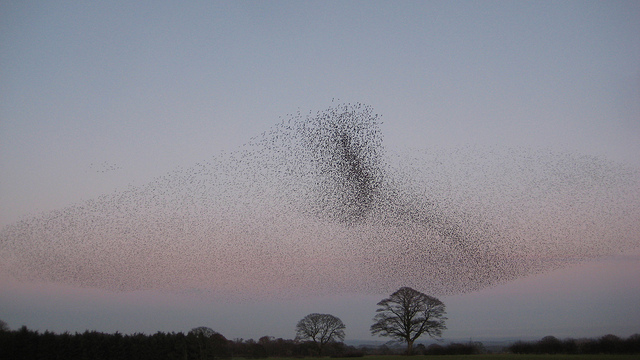 Systems – Understanding the organisation as an organic and dynamic system of interrelated organs. Phenomenological – Understanding the lived experience of each person – employees, management, leadership, stakeholders and the community. Hermeneutic – Understanding how shared meaning emerges in the organisation over time, allowing the organisation to be able to become agile, efficient and transparent – an authentic whole. The implementation of a profound change management programme requires the participation not only of everyone across the whole organisation, but the whole ecosystem too. A holonomic solution must be agile, scalable and cost-effective, and must be absorbed and understood by the widest diversity of people, backgrounds, roles, departments and organisations. 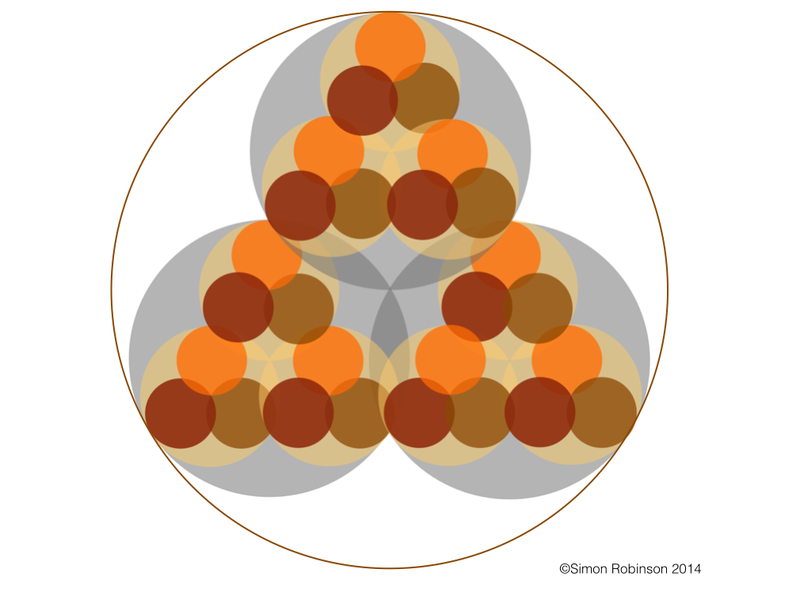 The holonomic way of comprehending the organisation is a way of seeing the organisation not as a command-and-control top-down hierarchy, but one which sees the essence of the brand, the mission, vision and values as coming to presence (being expressed) in each and every member. In the last year or so it has been amazing to facilitate and accompany the transformations of those companies who have already received training on how to integrate holonomic thinking into their strategy, leadership and change management programmes. 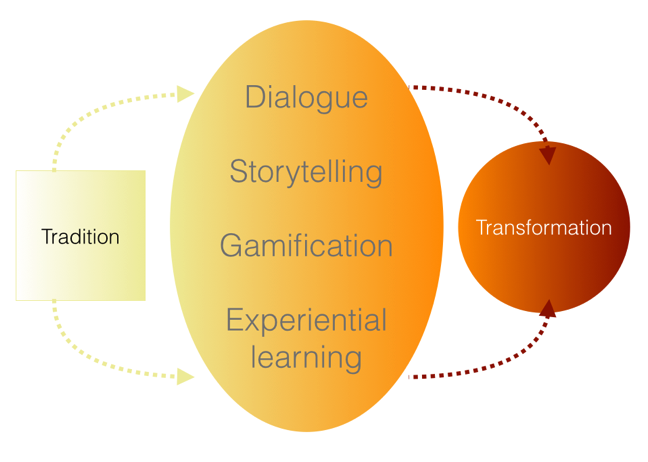 If I could pinpoint one of the key success factors, it is the desire to genuinely undertake the transformational learning journey, and reach a deeper level awareness of how the whole organisation can be comprehended. As one of our students remarked, the expansion of consciousness into holonomic thinking is like “opening a new window on the world”. Authentic and genuine paradigm shifts are always accompanied by a shift into a deeper way of seeing, and when you see more, you can transform more, both yourself and your organisation.